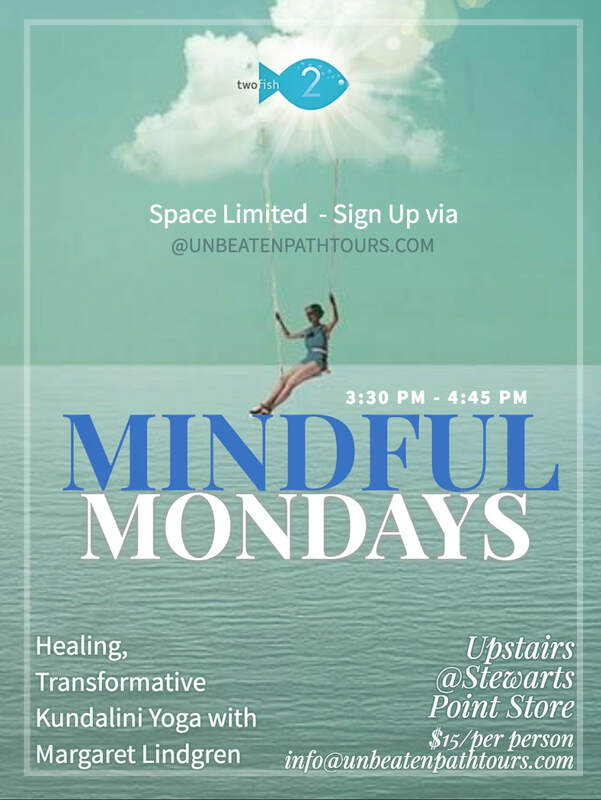 BELOW IS A SIGN UP SHEET FOR OUR LOCALS YOGA PROGRAM called MINDFUL MONDAYS held upstairs at the Stewarts Point Store and Two Fish Baking Company. UNBEATEN PATH TOURS works to offer several LOCAL yoga programs that range in price to accommodate the needs of local residents. Space is limited in this venue and sign up is required to attend. Please be sure to bring your own mat, water and any essentials you feel you require. This sign up sheet is NOT for PRIVATE BOOKINGS. We offer formal studio services for our private yoga sessions. Please contact us directly for your private yoga session needs.